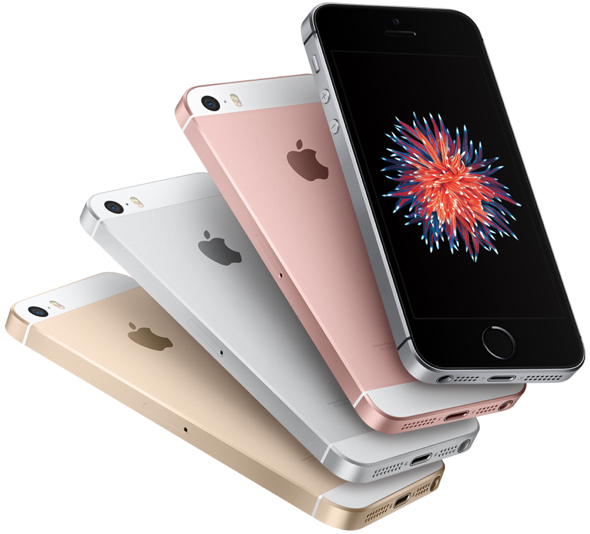 “Current owners of the iPhone SE who are fans of the smaller 4-inch form factor in Apple’s smartphone lineup may finally get their wish for a newer model to succeed the miniature device among the Cupertino, California-based tech giant’s assortment of larger sized phablets if a newly published rumor bears any weight and the new product is released,” MacPrices reports. Bargain hunters, cheapskates, and the poor do not purchase services, apps, accessories, etc. after the sale. Apple certainly has data regarding how much SE users brought to the services table and the result speaks volumes: No more iPhone SE. There is a market for that form factor, and as a shareholder, I want those users on iOS. Improved market share, when it’s not at the expense of revenue from flagship phones, is a big net plus. It improves apples effectiveness in many many ways. No headphone jack. No sale. I’ll keep using my SE. I have a Mac Pro, MBP, MBA, Ipad, and Iphone SE. I need the SE form factor for work (EMT). I think you two miss mobean’s point. In earlier discussions about smaller iPhones, MDN roundly criticized anyone who wanted an iPhone SE as a cheapskate, not worth pursuing as a customer. MDN stated pretty much what mobeans posted – an iPhone SE customer didn’t spend enough, so Apple would produce no more SE-class phones. I own four 12 core MacPro’s, six MacBook Pro’s, 2 iMacs, 7 iPad’s, and a TON more of Apple variables, and I want a 4″ SE. I spend over $100,000 a year on equipment and own 15 corporations, which are all ran by Macs. I want a 4″ SE. Many of my friends who own companies WANT a 4″ phone. The #1 reason why I, my wife, and many fo my friends have not purchased a NEW phone in years is because of the SIZE. There is a large segment of people who like to use the phone for basic functions and do not want/need a large screen. I don’t take selfies. I don’t troll social media pages on my phone looking for validations or trends. I don’t need it for movies. I just want something that fits in one hand and easily in my pocket. A 4″ SE does that perfectly. I tried a 7 size and it fell out of my hand, didn’t fit well in my pocket and now sits in a drawer.. unused. So after paying for a iPhone 7, I disliked the size so much, I willingly downgraded and lost money on the 7 and purchased a SE and LOVE it. I use my phone as a tool, not an entertainment device. When I ever need to view movies, play games or check specific sites in a larger view, which seldom happens while mobile, I carry or bring out an iPad. Otherwise, when I anticipate these situations, I am already carrying a laptop anyway. I do not need a poor man’s solution, i.e, a phablet, which does not satisfy the needs of either end anyway. Everything isn’t about services dumbass. I have all Apple products current except an iPad because I find it to be not necessary I don’t spend a lot on services either. SE type users shouldn’t be ignored just because they don’t spend some give the number in services. BS on the “cheapskate” crap. I like the convenience and I buy apps for it. I have an iPad for games that need a big screen. So Apple is more likely to sell more products because those with a small iPhone will usually invest in an iPad. Plus I’m in front of a 27″ iMac for 8 hours at my job and another 27″ iMac at —don’t need another big screen with a phone. Just need function. Great. I need an iPhone, not an IPhablet. I’ll definitely buy an updated iPhone that has the SE form factor! Really? Do other reports back up this “poor performance” claim? If not, how much can we trust this source? There are a TON of people who do not want a large phone. I vaguely remember Steve Jobs saying at a keynote at some point that the 4″ is the “perfect” size. I need to find that video. It will be a sweet little thing !.. I am, at this minute, holding my SE in one hand. If the screen were edge to edge and corner to corner, I could NOT operate it with one hand (the top 25% is out of my reach). That’s the simple test: “Can I hold it in one hand, and use it in one hand safely, without risk of dropping it?” For my 6, the answer was NO. For my SE, the answer is YES. For the hypothetical XE as described, the answer is NO. So NO, I would not buy it, not under any of the configs described b MDN. And labelling me a “cheapskate” is just flatly insulting. Sign me up. I have said 4.7 would be perfect but a 4.8 is good enough for me. I have a 8plus and you get accustomed to it but my biggest issue would be dual cameras. The only reason I have the plus is for the camera. Unfortunately Camera is king. That will determine a lot of peoples buying choices. No. The appeal of the SE was the form factor and price.